It is a simple fact that you can’t punish your way out of a social, or criminal situation. If you could, there would be no crime in the world at all. We have a situation in America where right wing types have reinstituted Debtors Prisons, and as the FBI Report on Ferguson, Missouri lays out, where the Judicial System is corrupted as a tool to drive racial punishment against the poor. There are clowns like this Judge appointed every single day by the Chumph to our Federal Courts. This racist assh*le is probably on the Chumph’s short list. A Mississippi judge who barred a mother from seeing her newborn baby for 14 months because she hadn’t paid court-imposed fees has stepped down. The judge first issued the order after the woman and a friend, who were driving through the city of Pearl looking for work, were pulled over by a police officer who discovered both women had outstanding warrants for routine misdemeanor offenses. The police officer who made the arrest told the Mississippi Department of Human Services that the child who was in the car with the two women was “abandoned,” despite the fact that it was the officer’s own arrest that forced the child to be separated from the mother. Judge Shirley awarded custody to the baby’s grandmother, while also blocking the mother from coming into contact with the child until she paid off court-imposed fees. The Clarion-Ledger’s report does not say how much money the mother owed in court fees, however local legal justice advocates say that unpaid fees do not justify separating a mother from a four-month-old child for 14 months. Did Black Man Burn Down Church And Blame it on Trump? The “motive” being in Mississippi…They beat he hell out of the accused. Have some questions about this one. A motive has not been released in the case. The man who was arrested in the burning and vandalizing of a black church in Mississippi is a member of its congregation, the Associated Press reported Wednesday. 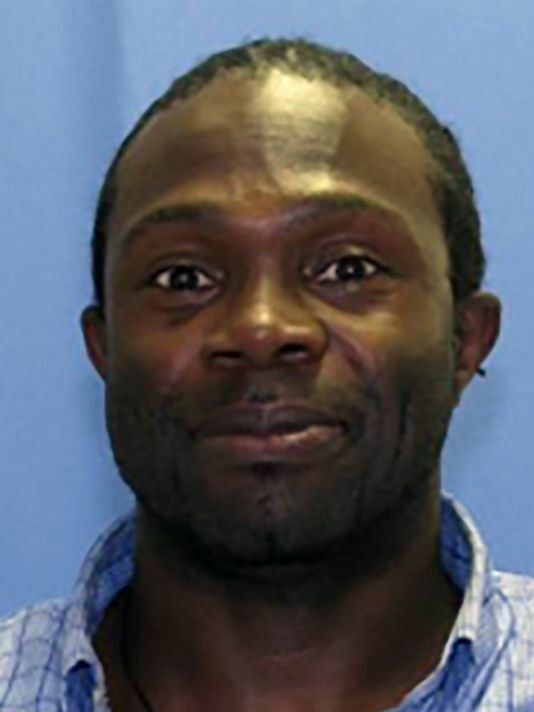 Authorities charged Andrew McClinton, 45, of Leland, Mississippi, with first-degree arson of a place of worship. A motive has not been released in the case. There were no reported injuries in the incident, which took place just a few days before the Nov. 8 election. The majority of the damage was to the main sanctuary of Hopewell Missionary Baptist Church in Greenville. The words “Vote Trump” were also spray-painted along the side of the building. Even though pro-Donald Trump graffiti was found on the church, officials “do not believe it was politically motivated,” Mississippi Insurance Commissioner Mike Chaney told the AP. “There may have been some efforts to make it appear politically motivated,” Chaney said. Greenville Mayor Errick Simmons said last month that the incident was “an attack on the black church and the black community.” A GoFundMe page was set up to raise money to repair the church amid national outcry, and secured more than $200,000 in two days. Back to the KKK days when the Klan burned black churches and homes to prevent black people from voting. This isn’t “vandalism” it is a hate crime. Vandals in Greenville, Miss. set fire to a black church on Tuesday evening — and then spray painted a pro-Trump message on the side. Local news station WLBT reports that the Greenville Fire Department received word of a fire at the Hopewell M.B. Church, a local black church. When they arrived on the scene, they not only found the church burning, but also found the words “Vote Trump” spray painted on the outside of it. The station also reports that “Mayor Errick D. Simmons, Greenville Fire Chief, Washington County Sheriff and other local state and federal law enforcement agencies are holding a press conference” about the vandalism today at at 10:30 a.m. ET. The NAACP and the parents of a black high school sophomore who had a noose placed around his neck and “yanked backward” are continuing to call for a federal investigation of the incident as a racial hate crime. Sean Courtney, an attorney for the Stone County school district, wrote in a Tuesday email that administrators had determined that the school’s conduct code had been violated, the Associated Press reported. Courtney said he couldn’t identify the student or the specific punishment, citing privacy rules. The NAACP has alleged that the school district and local officials have mishandled the case from the beginning. Johnson told ESPN that the black student’s mother, Stacey Payton, reported the incident to the Stone County sheriff’s department but was discouraged from filing a report because one of the white students’ parents is a former law enforcement officer. Capt. Ray Boggs of the Stone County sheriff’s department has disputed that account, saying he told Payton that filing a criminal case could stir resentment among some students and bring her son trouble at school, according to the Associated Press. The black student claimed he was accosted by as many as four white students and a noose was tied around his neck before he was eventually allowed to return to practice. For its part, the school has asserted that it disciplined only one student (not four) because only one had broken rules. At the press conference on Monday with the Paytons standing beside him, the Mississippi NAACP president called the incident a damming indictment of race relations in 2016. The mother of a black middle school student in Wiggins who attended the NAACP press conference on Monday said that while Mississippi has long grappled with overt anti-black racism, tensions in town have recently escalated. “I feel like it escalated from them allowing kids to bring Confederate flags” to school, Carissa Bolden told the Associated Press. “Allowing students to commit blatant hate crimes without severe consequences sends a message to students that their safety and well-being are not valuable enough to be protected,” he said.